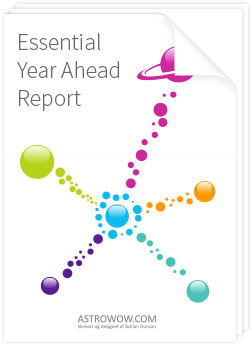 Sign up for your AstroPage and get your free personalized report as your welcome gift. 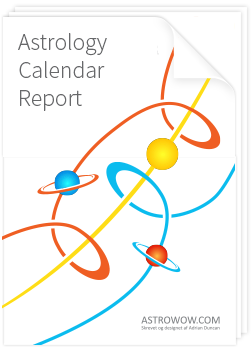 ... and get your unique personalized Astro Page, Free Mini Report based on your birth planets as your welcome gift. Astrology software from WOW distinguishes itself from other horoscope software, because no previous knowledge of astrological techniques is required. If your goal is understanding of yourself and your life path, than our CDs or shareware provide the perfect tool for you. If you are a student of astrology, you will find World of Wisdom software to be a tutor and companion on your way to become a skilled	astrologer. Adrian Ross Duncan is a full-time practicing astrologer. He speaks regularly at congresses all over the world. Countries where he has spoken: France, Holland, Britain, Norway, Sweden, Denmark, Finland, Ireland, Canada, the USA, Australia and New Zealand. 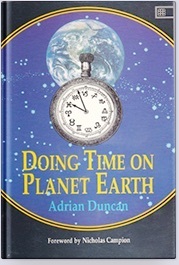 I wrote Doing Time on Planet Earth in 1989-90. It was entirely based on my experiences with clients and teaching. I enjoyed writing it, and I am told it is fun to read. 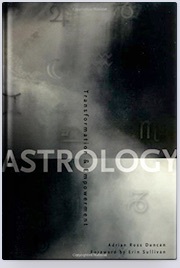 It covers such things as horoscope rectification, the Age of Aquarius, astrological consultations and horary astrology. Apart from many stories about “time”, I advocate the use of the horary chart for the client's arrival when doing consultations. William Lilley used this, and my own consultations improved immeasurably - especially as far as making accurate predictions - when I started. There is a unique and down-to-earth section about the transition from the Piscean to the Aquarian age. $29.95 Go to Amazon	 30% off right now at Amazon.com! AstroWOW is a new development of World of Wisdom, which has been providing astrology content on the net since 1995. Designed and written by astrologer Adrian Ross Duncan, this site is designed to give you a fully immersive experience of astrology and of your own personal horoscope. We believe that astrology should be presented in an easily accessible way, so even those people who have little knowledge of astrology and horoscopes can have access to the amazing richness of this ancient art. On the initial level we provide daily horoscopes, weekly horoscopes, monthly horoscopes and yearly horoscopes, which are written by us – fully professional astrologers – using the techniques of horary astrology to make our sunsigns or star signs as accurate as possible. 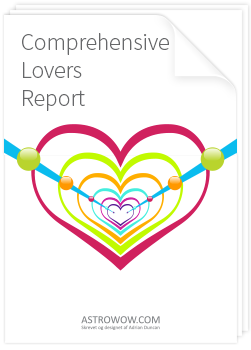 We look at over 400 horoscopes and write 16,000 words each and every month to satisfy over a million users worldwide. Astrology has been around for many thousands of years, but never has it been as popular and respected as it is today. Why? Because astrology works, and when people read something as simple as their daily, weekly or monthly horoscope, they sense the resonance there is between their zodiac sign and their character. But of course astrology is far more complex than just the 12 star signs. The idea behind astrology is that the smallest thing in the universe is subject to the same forces as the largest thing, and events in one field are reflected by events in another, as described by the old adage “As above, so below”. Nobody knows why this is the case, and there is no known force in the universe that has been proven to have this effect. Yet people relate to their horoscopes and sense their close affinity with the cosmos. Western astrology is based on planetary movement in our solar system, and not so much on the stars outside the solar system. The 12 star signs are more accurately called sun signs, as they reflect the Earth’s orbit around the sun which is registered on Earth by the four seasons, and specifically by the spring and autumn equinox and the summer and winter solstices. These four points represent the start of the four signs: Aries and Libra, and Cancer and Capricorn respectively. The intermediate signs – Taurus/Gemini, Leo/Virgo, Scorpio/Sagittarius and Aquarius/Pisces are then inserted at 30 degree intervals. When making predictions or character analyses, astrologers look at the movement of the planets through these 12 zodiac signs, and the relation of the planets to each other. A horoscope is a two-dimensional map of the solar system, which shows exactly where the sun, moon and planets are in the 12 zodiac signs: Aries, Taurus, Gemini, Cancer, Leo, Virgo, Libra, Scorpio, Sagittarius, Capricorn, Aquarius and Pisces. Based on the exact time and place of birth, the 12 Houses of the horoscope can also be calculated, and the planets in signs are placed in this framework – the personal horoscope. Basically this is an incredibly advanced way of displaying a particular point in time at a particular point in space. You can even work backwards from a horoscope drawing to divine the exact time and place of birth. There are 1440 simple combinations of planets in signs and houses, but astrology gets much, much more complicated than that. Of course, most people think of horoscopes as the daily, weekly, monthly or yearly horoscopes seen in newspapers and magazine, or online. (The 12 signs of the zodiac). Really these are sunsign horoscopes, because they are simply based on where your sun is on any particular birth date, and naturally these star signs are very general. They can be quite accurate though, because the sun is such a dominating factor in a horoscope. Nevertheless, the moon and planets each have very specific and very strong influences, and the only way you can find out what that is, is by having your personal horoscope calculated. Basically your date of birth will show you in which sign the Sun, Mercury, Venus, Mars, Jupiter, Saturn, Uranus, Neptune and Pluto are in your horoscope, because they are unlikely to change signs during the course of a day. For example – from the standpoint of someone on Earth – the sun takes one month to move from one star sign to another, whilst Uranus takes seven years. As the moon moves from one sign to another in a little over two days, you need the birth time and place to be sure of where it is. Once you have the planet in sign and house, you can make the interpretation. So the Moon in Aries in the 7th house, for example, would show someone emotionally receptive (moon) in a rather impulsive way (Aries) to other people (7th house). On the AstroWiki section of this site you can find interpretations of all these astrological combinations. And of course you can also have your personal horoscope calculated – and we’ll interpret it for you! There is a myth associated with astrology that sun signs are superficial and that anyone can write them. It is true that sun signs are general, but they are by no means easy to write. In fact they demand tremendous experience. Only excellent astrologers can write accurate sunsigns. And most of the sun signs you see on major astrology sites are written by excellent astrologers. (Although this is not always the case with newspapers). The astrologers on our site have been practicing astrology for a minimum of ten years, some over 30 years. When we write daily horoscopes, weekly horoscopes and monthly horoscopes, we actually look at over 400 horoscopes for each star sign, each day and each week during the course of a month. And write around 16,000 words. Sun signs are sometimes called star signs, but they are based on the orbit of the Earth around the sun, which we register here on Earth as the equinoxes and solstices, which are when day and night are of equal length (March 20th and September 22nd) or when it is the longest day or longest night (21st June and December). These form the first degree of the Cardinal Signs – Aries, Cancer, Libra and Capricorn – and the remaining signs are placed between them. In this way with get the 12 zodiac signs, which should rightfully be called sun signs rather than star signs. Skilled sun sign astrologers follow the movement of the planets through each of these signs, and predict what will happen according to the relationships of the planets in the signs and to themselves. 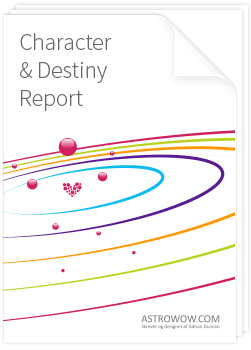 What is crucial for sun sign judgments is how strong or weak planets are in the signs. Planets are for example strong in the star sign they rule, and weak in the opposite sign of the zodiac. For each zodiac sign we place the sign as the 1st house of the horoscope and then make an Equal House horoscope, so that each subsequent sign corresponds to a subsequent house. So if we make a horoscope for Leo, then Virgo will be in the solar 2nd house (finances). The key to it all is the planet which “rules” each star sign.